crafty goodies: Eclectic stamps~Keyhole and Big Key by DRD! 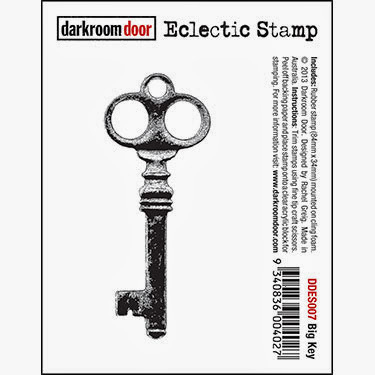 Hi everyone, Connie here with a card using two of the Eclectic stamps, Keyhole and Big Key by Darkroom Door. The inks I used are Tim Holtz Distress Ink/Pumice Stone, Ranger Archival Ink/Black and Wendy Vecchi Archival Ink/Watering Can. 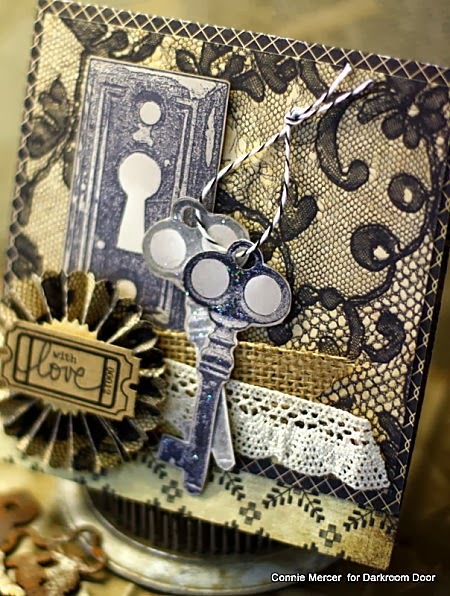 Also used are the Tim Holtz, Rosette Sizzix die. The keys have a little sparkle on them ( hard to see it) using Stickles by Ranger. Wow! This is gorgeous! 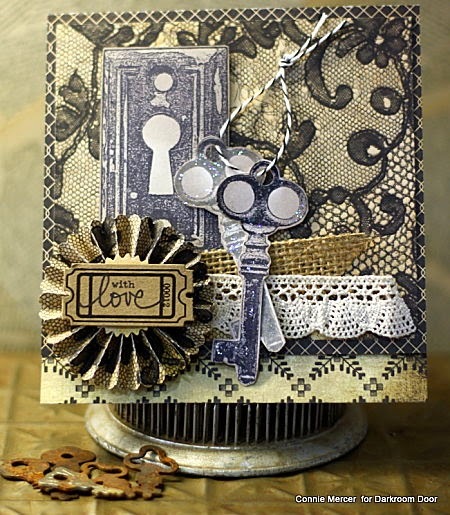 LOVING those stamps and loveeeeee the rosette and the burlap!!!!!!! ooooo I LOVE your vintage stuff. VERY cool stams and project!! Connie this is wonderful. 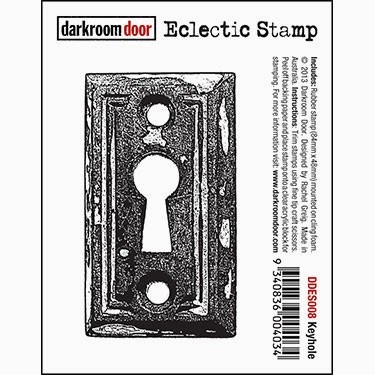 NHow tall are the stamp images? I love your use of those stamps Connie in fact I am now wishing I had those stamps! Your vintage card is stunning. Love this and the basic grey paper! Great card, Connie! I love those stamps. You used them beautifully. Awesome combo of elements on here, Connie! Love how you used the stamps! Love this vintage and antique look! this is amazing.. i love those images and the added laces.. brilliant..